Building upon our excellent operating reputation in public-sector parking management throughout the Carolinas and elsewhere, Lanier Parking Solutions was recently awarded the contract for “Parking Management Services” on behalf of the Town of Carolina Beach, NC (“Town”). 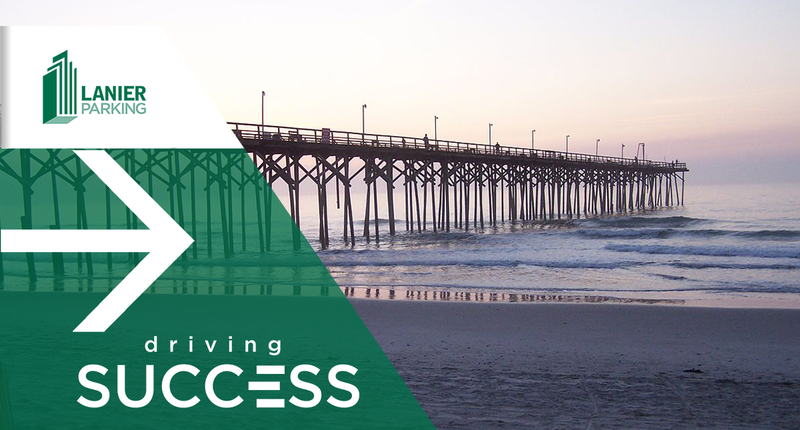 Driven by innovative technology and operational best practices, the new PARK Carolina Beach program shall provide the Town’s visitors, residents and businesses with convenient access and myriad options for parking at the Beach and in Central Business District. The Town is an oceanfront community with a permanent population of 6,000+/- that increases to an estimated 35,000+ during the summer months! The Town’s robust tourism industry includes the Carolina Beach Boardwalk that offers shops, restaurants and amusement rides. On the Atlantic, Freeman Park, also included in Lanier’s Scope of Services, has become one of the Town’s major attractions. Whether coming to the area to swim, camp, fish, or go boating, crabbing or casting for minnows, people love Freeman Park! The PARK Carolina Beach team at Lanier looks forward to forging a transparent and lasting partnership with the Town, its vast visitor parking population, local stakeholders and the Carolina Beach community at large.